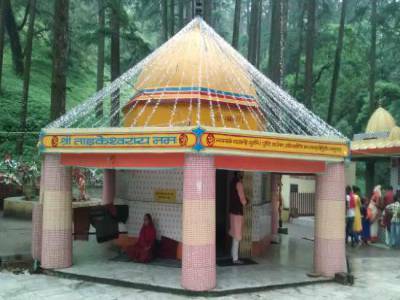 Tarkeshwar Mahadev is a Sidhpeetha Temple and is situated in Lansdowne of Pauri Garhwal in the Indian State of Uttarakhand and its about 1500 to 2000 years old temple, so Its a very historical and religious place. The temple is dedicated to the Lord Shiva. 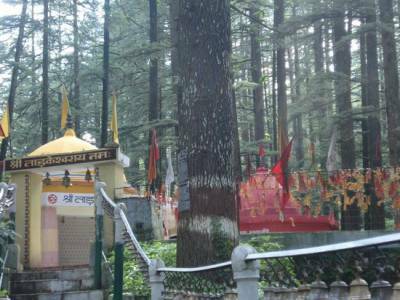 In The Hindu religion Ramayana mention, The Tarkeshwar Dham is a divine and a holy place, where Lord Shiva rested here after killing the demon Tarkasur and Goddess Parvati, planted seven trees of cedar to save Lord Shiva from the heat of the sun's rays. Even today, these seven trees are present in the premises of the temple in the shape of trishul (or trident in English). 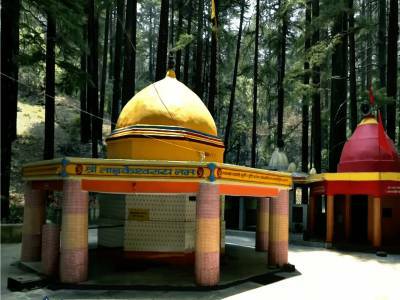 The Tarkeshwar Mahadev temple is surrounded by cedar and pine forest, the mesmerizing view, Quiet and calm atmosphere this place is heaven for nature lovers. 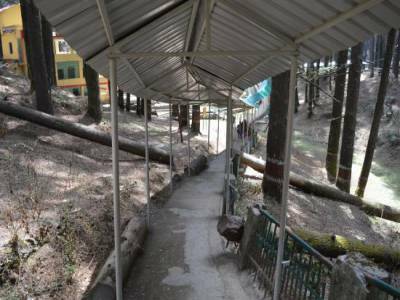 During the journey of temple, as you going the higher, the temperature drops and you can see the beautiful road its way through the alpine forest. Once you reach the temple you feel the calmness. There is a Dharamshala available and with advance information about your visit you can stay at the dharamshala. Travelers can easily reach the temple as it is well connected with roads and regular taxi/cab services. The buses comes after a regular interval. The nearby famous tourist destination is Lansdowne. This is a great weekend getaway destination from Delhi, Chandigarh, Noida and Gurugram. 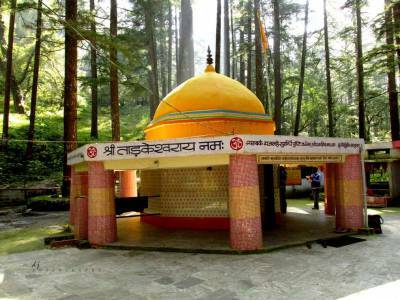 The Tarkeshwar Mahadev Temple is about 40 KM from Lansdowne and is nearly about 290 kilometers from Delhi. The route to be taken is Delhi-Meerut-Kotdwar-Duggada-Lansdowne-Tarkeshwar Mahadev Temple. NOTE : Temple is located in deep forest, so closing timing can be in between 5:00 PM to 7:00 PM depending on the visitors availability. Get quick answers from travelers who visit to Tarkeshwar Mahadev Temple.